Original release on the top, new rerelease on the bottom. 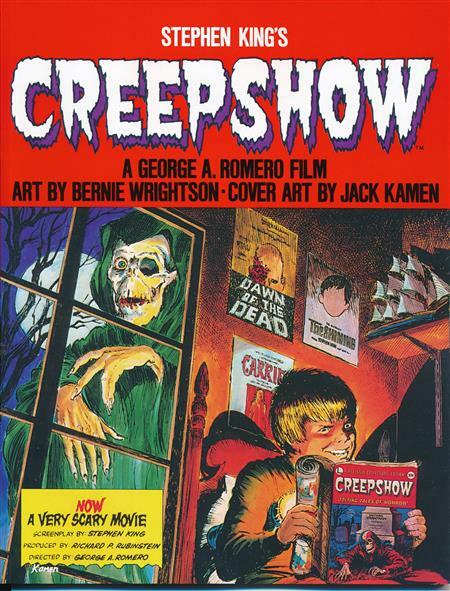 Collects the Creepshow original graphic novel from 1982. Original release on the left, new rerelease on the right. I have been waiting for this book to be rereleased for years! 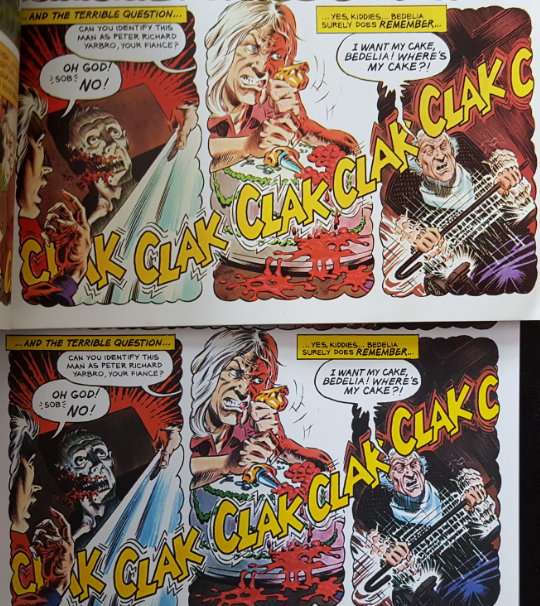 Marvel missed their moment to reissue this back when King and then later on Romero were doing comics with them. They could have, and should have, negotiated to release this in a hardcover. 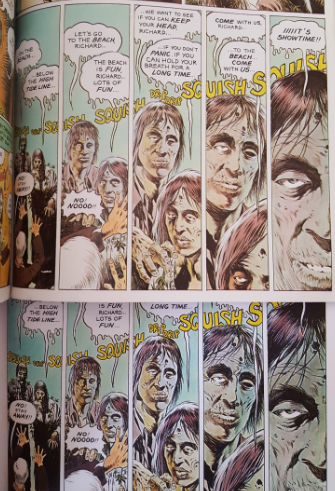 Instead we get this reasonable facsimile of the original graphic novel. There are a few differences which I go into in nauseating detail below, but for now let's stick with the stories themselves. 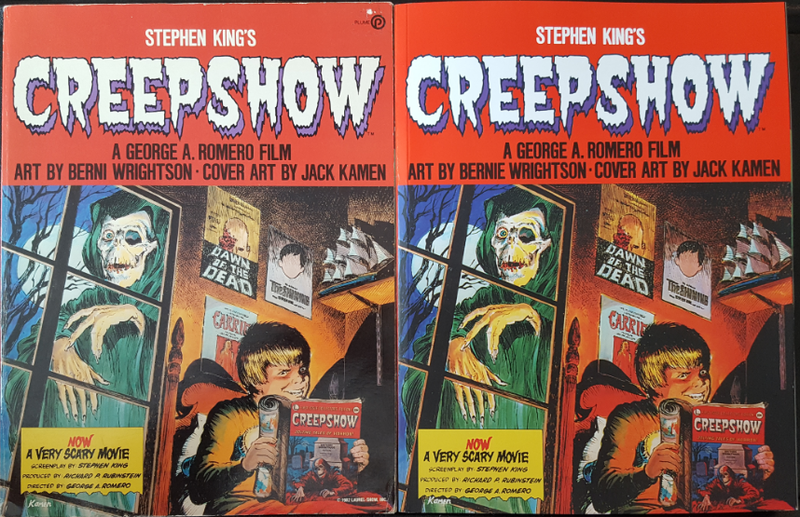 Stephen King was one of those weird kids who liked Horror comics in the early 1950s. The kind of kid whose parents would throw his comic books away, so they would hide them and read them by flashlight under their covers at night. 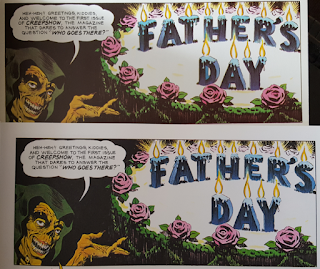 EC were King's favorite, and Creepshow is the most earnest love letter of all time. King's love for '50s Pre-Code Horror comic books is so obvious that it's contagious. Hence this adaptation in the then-new graphic novel format. I've read these stories many times, and there isn't a word or brushstroke that doesn't hold up. I seldom use the word perfect, but these stories and this comic book are perfect. I am thrilled to get a budget-priced reader copy instead of adding endless wear and tear to my original. I know that there a lot of people out there who have been wanting a copy of this book but were reluctant to plunk down the coin that an original was commanding. Now everyone can afford a copy. 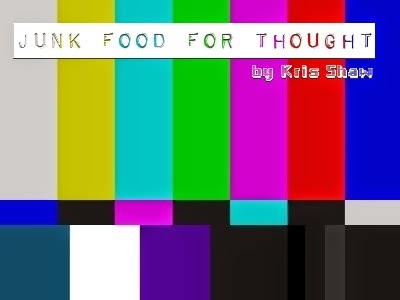 Junk Food For Thought rating: 6 out of 5. 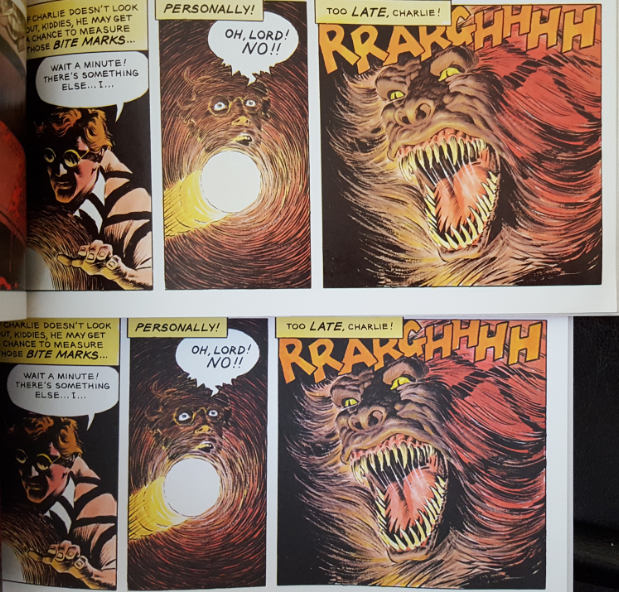 The OCD zone- This is basically a facsimile edition of the original 1982 graphic novel, presented in the same dimensions as the original book. 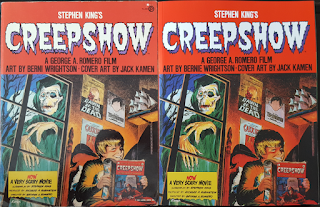 The back cover is completely different from the original, but otherwise this book provides the same overall experience of the original graphic novel. 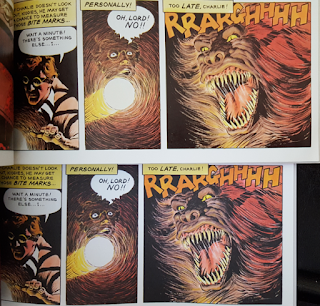 Linework and Color restoration: These are direct scans of the original printed book. The original was printed on glossy coated stock. 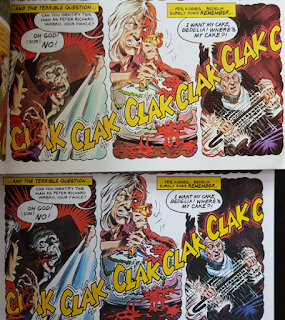 The matte coated stock used for this edition, combined with scanning and Photoshop tinkering, makes things occasionally murky, particularly in The Crate. This is really a perfectly serviceable scan job. 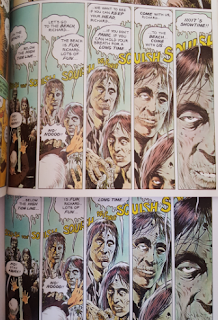 It's only when you compare it with an original printing that you can see the “problems” with it. Original release on the top, new rerelease on the bottom. Note how some of the linework is buried by the darker color palette. Paper stock: Matte coated stock with no sheen. Binding: Perfect bound trade paperback. Cardstock cover notes: Matte coating with spot varnish. I was excited about this re-release, but I passed after seeing a copy in Barnes & Noble...I thought the reproduction looked terrible. 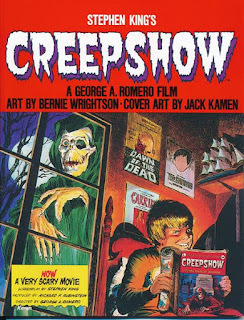 With Wrightson and Romero both passing recently, I may have to dig out my old first-printing copy and give it another, probably my thousandth, read. I am happy to have this just to reduce wear and tear on the original. If you go side by side it's not terrible, but it is not quite as sharp.